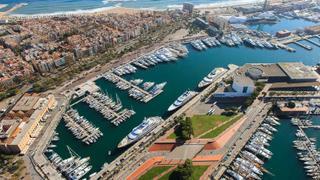 The Superyacht Show will be held at One Ocean Port Vell in Barcelona. The Superyacht Show will present up to 60 of the world's finest yachts. 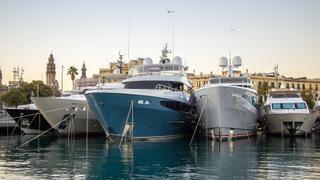 Final preparations are being made for a new yacht show in Barcelona. The Superyacht Show, which is being organised by members of the Large Yacht Brokers Association (LYBRA), will be held at OneOcean Port Vell marina from May 2-5. Yacht registration is now open, and the event has the capacity to showcase 60 superyachts on the water to potential buyers and charterers. Any yacht owner who would like their yacht to appear in the show should speak to their broker or contact LYBRA via thesuperyachtshow.com. The Superyacht Show offers the chance to step on board some of the world’s finest yachts in an exclusive and private setting. A selection of hand-picked luxury products and high-end lifestyle brands will complement the on-water display. Tickets are available now for superyacht buyers, charterers, brokers, buyers’ representatives, superyacht professionals and others. They are available in multi-pass (€181.50) or Saturday-only (€60.50) formats. The event, which is in its first year, has already attracted sponsors from the luxury world, including Airbus Corporate Jets, Airbus Corporate Helicopters, Aston Martin, Boutsen Design, Foglizzo, Bulgari and Mandarin Oriental. Eight member companies of LYBRA will participate: Burgess, Edmiston & Company, Fraser, IYC, Merle Wood & Associates, Northrop & Johnson, Ocean Independence and Yachtzoo. The organisers plan to expand the line-up in 2019 to incorporate several major shipyards as well. Boat International is proud to be the media partner of The Superyacht Show 2018 and will be providing extensive coverage during the event.